New financing options could further enhance the attractiveness of Dubai’s property market for both local and foreign investors. 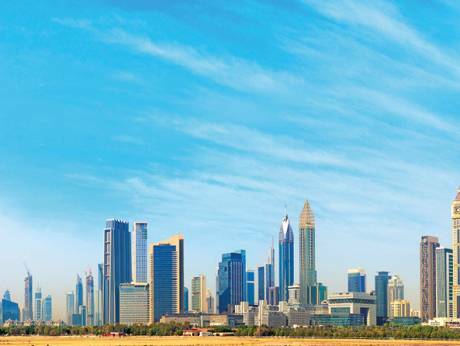 The Mortgage Law recently proposed by the Dubai Land Department (DLD) will be a key instrument that will bring in more specialised funds and create alternative financing beyond standard funding from banks. The new law could, for instance, allow institutions other than banks to take mortgage security over property, which, according to Daniel Le Moeligou, sales director at Home Matters, will open the market to private financing from domestic and international sources. To attract buyers, many developers currently offer generous payment plans of up to 10 years wherein the bulk of payments are made on or after completion. Other developers also offer guaranteed returns or rental income, usually within three to five years. The sale and leaseback model is another scheme that has been prevalent in Dubai. “The model has been popular in Dubai, particularly in the education sector, and provides support to the real estate market when traditional direct bank finance is limited,” Alexis Waller, partner and head of real estate at Clyde & Co.
REITs account for 40 per cent of listed real estate in countries such as the UK and Singapore, but they only account for 5 per cent of the UAE real estate sector, says Nwilati. Crowdfunding is another platform that Nwilati describes as a “win-win” solution for both developers and investors. In June, Dubai saw the first deal of an individual unit sold on a digital crowdfunding platform. Three investors pooled their money to be part owners of a Dh365,000 studio in Remraam. The property will potentially generate a net yield of 8.7 per cent, which will be distributed to the investors in proportion to their investment, according to Siddiq Farid, CEO of Smart Crowd, a digital real estate investment platform.